It may feel like awards season is never ending, and as the oscars loom ever closer, the same names are coming up as the favourites again and again. 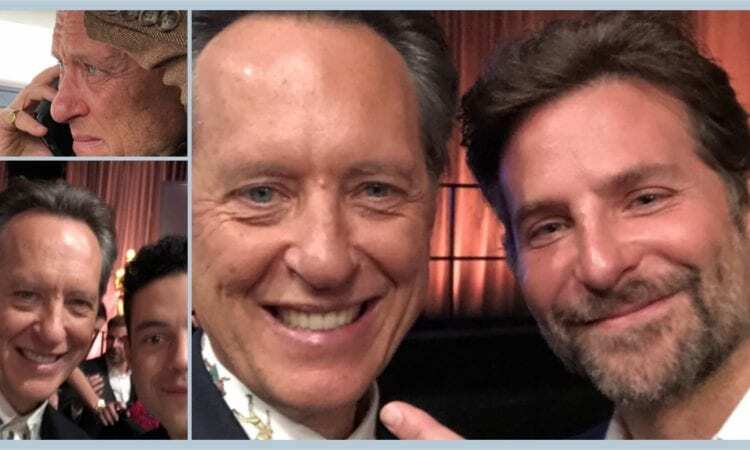 You’d be forgiven for getting a little fatigued seeing the same names crop up every evening, but in 2019, there is one name rising above the crowd, and whilst he’s not won any of the big awards, Richard E Grant is truly the winner of the 2019 awards season. Grant has been acting since the 80s, mostly notable for his turns in Withnail and I and the classic Spiceworld. A household name in the UK, its somewhat surprising that he’s never been nominated for his works before, and all the more delightful that he’s been nominated for his work in Can Your Ever Forgive Me? at the age of 61. No-one is more delighted than Richard himself, who has become the definition of ‘It’s an honour just to be nominated’. He’s been riding the nomination wave for the last few weeks, becoming a social media darling for his reactions to the nominations, and his undying love for Barbara Streisand. If you don’t know what we’re talking about, take a look at his delightful tweets below. Grant may not win the Oscar, but he’s truly won the hearts of many over the last few weeks. And if you personally know Barbara Streisand – please arrange a meeting, it’s the OTP the world needs right now. ‘Supergirl’ Melissa Benoist gets engaged to her co-star!